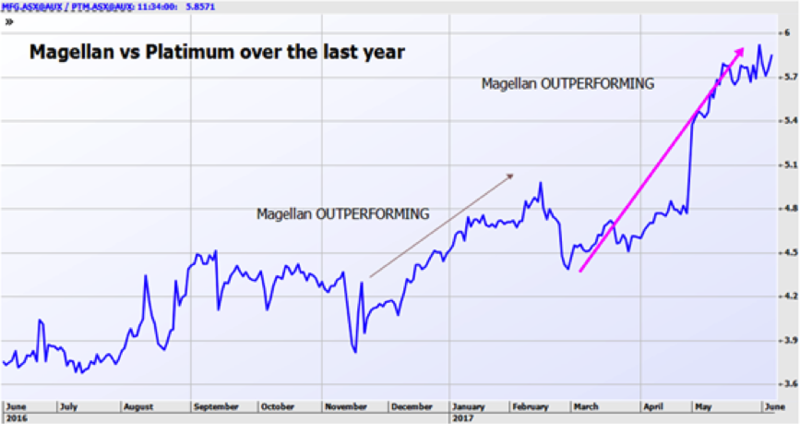 Magellan is up the last 5 days straight and hit its highest level in 1 ½ years. 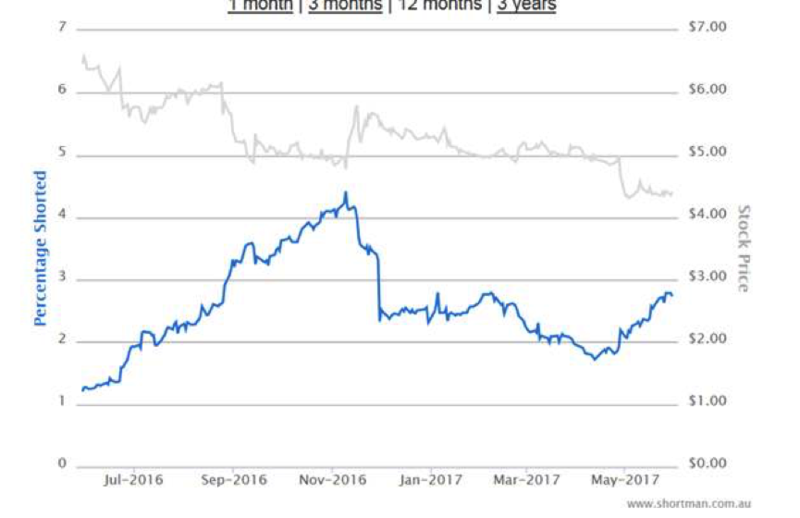 About 8 months ago I pushed a pairs trade – sell Platinum and Buy Magellan. Despite the massive move (especially) in the last 4 months I’d keep in on still. I can’t see any value in Platinum, while Magellan are back after a period of inertia, so I would stay with this trade. Magellan’s May 2017 Flows were +$142m inflows (+3.4% of FUM annualised). 2H17 to date, net flows at +3.6% of opening FUM are exceeding our forecast, but remain below our +>5% ‘benchmark’. Net inflow mix: +$35m Global Equities Retail; +$30m Infrastructure Retail; and +$77m Institutional. Magellan is on track for ~$41m in Performance fees in 1H17. What do the shorts think - are they shorting MFG or PTM? Magellan - NO they don't dare - it's steady at 1.4%. However, Platinum shorts are rising from 1.7% as of 2 months ago … to 2.74% now. This article is an excerpt from The Coppo Report contributed to Livewire by Richard Coppleson, Director - Institutional Sales and Trading, Bell Potter. you can find out more here. Not an existing Livewire subscriber? Register here to get access to the Livewire website and to start receiving the Trending on Livewire daily note.